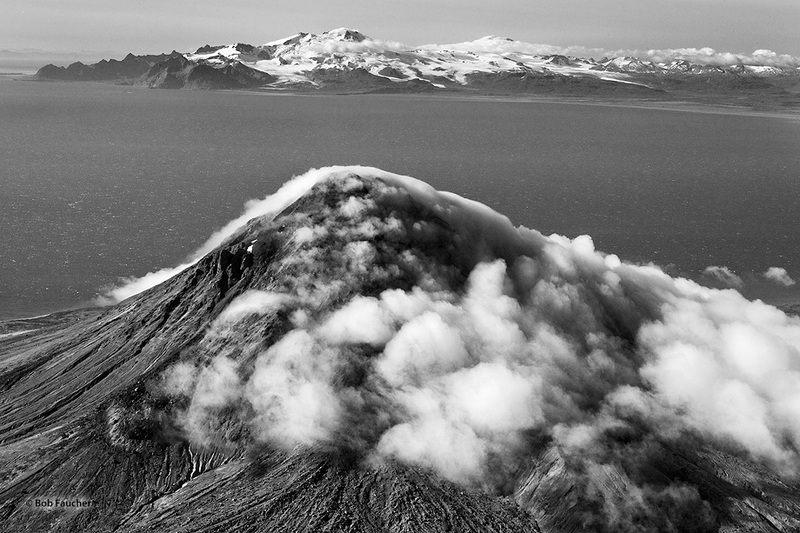 Steam and clouds shroud the top of the volcanic island of Augustine in the Cook Inlet. Across the inlet, Mt. Douglas rises above the Aleutian Range on the Alaskan Peninsula. Photo © copyright by Robert Faucher.